Well, this past week I’ve had an enforced experimentation with just flesh playing (well, on one finger anyway! ), as I went and snapped my “a” fingernail! Eek! For someone who plays with nails 99.999% of the time this has been a bizarre sensation and a good reminder that nails are indeed my preference for playing! Why? For all those reasons I’ve previously outlined, but mainly greater projection and greater tonal control. It is inevitable, however, that at some point we are all going to break, snap, chip or somehow otherwise negatively impact our playing nails. So what can be done when they get broken? (1) Accept that it is broken! Yes, it has happened. Yes, it is unfortunate. Yes, you will live. Yes, it will grow back. (2) Minimise potential for any further damage to the nail. Depending on the nature of the chip, nick or snap this may involve trimming the nail further back beyond the damaged area and growing again from purely healthy, undamaged nail. It may take slightly longer for the nail to grow back to full playing length doing this, but you’ll be pretty much guaranteed not to have knock-on effects from the original nail damage or recurring chips or snaps. (3) Depending on the side of the nail you damage (if it’s not a full nail snap off), you may be able to rescue the playing side whilst trimming back and smoothing off (you don’t want to snag it as this will make things even worse) the non-playing side. It will likely have an impact on your tone production and I’d lay off going too heavy with a nail in this condition, but will allow you to continue playing with the nail. (4) If you’re in desperate need particularly if you’ve damaged the playing side and you need the nail (i.e. you’ve got a concert or exam coming up fairly soon), there is an option to retain that damaged nail, as per (3), and doing an interim repair job with layers of tissue paper and glue. Layer on the paper and glue, papier mache style, let it dry and then shape. Alternatively, you could test out a stick-on nail such as the Rico Nail. (5) Be aware of your nails’ idiosyncrasies and manage accordingly. This includes recognising tendancies such as splitting a certain point and/or length or curling at a certain length. (6) If you’ve damaged then nail down in the living area and you have a fault growing through the nail (which I have had on my “m” finger for around the last 10 months), see item (1) and just remember it’s there and manage it suitably to create your playing surface. 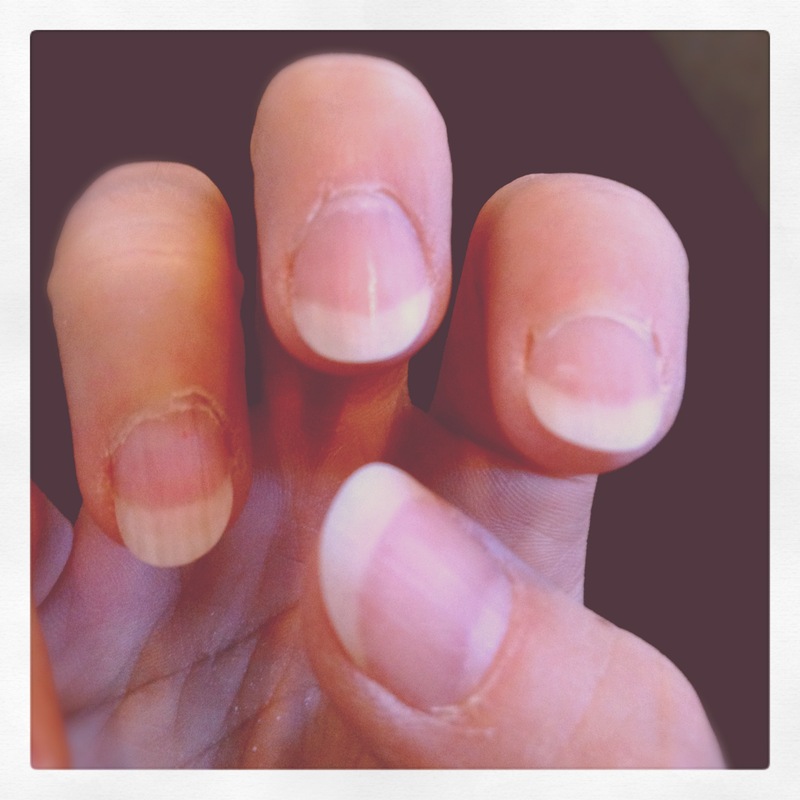 (7) Keep on top of maintaining your nails on a regular basis. Get into the habit of just giving them a maintenance file and buff before playing. I tend to mine before sitting down to practice, but once a week I’ll sit down for 20-30 minutes and carry out some more serious length control (I’m blessed with them growing quickly) and shaping. Previous postXuefei Yang in Geelong in October!